Heavy duty AISI 304 16-gauge Top Provide Long life. Round Tapped Shape Cast Iron Removable Heavy duty Chinese woke. 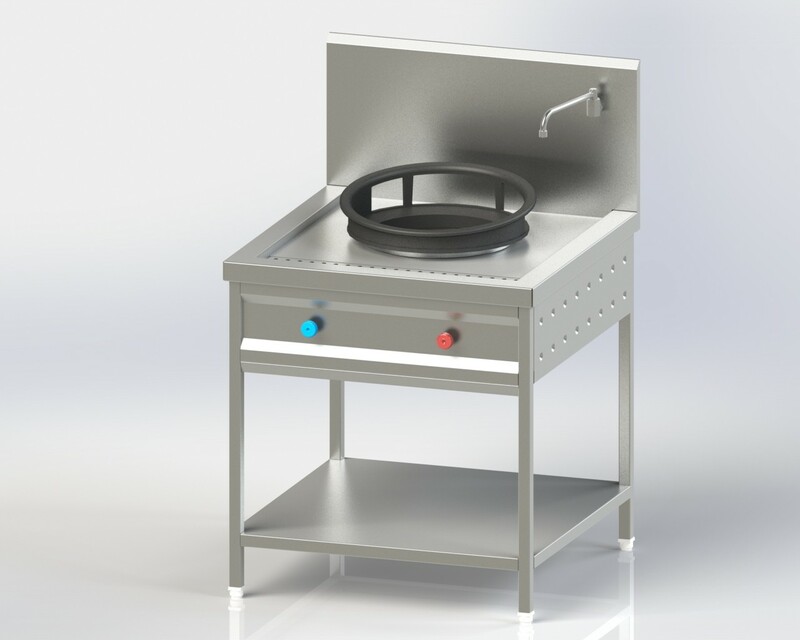 H/P Chinese type Single burner with separate pilot and control Valve. providing at the front side for cleaning. Spillage sliding Tray in full length and width. Front Panel, Side Covering and AISI 304 1mm Thk. Spillage Tray made in AISI 304 1mm Thk. Under shelf made in AISI 304 1mm Thk. With inside M.S Angle support frame.